There are great options for every establishments who are looking for blinds with appealing look, but with reasonable prices. The best option for commercial areas is PVC vertical blinds and most of our clients chose neutral colors like white and beige to soften up interior and at the same time create clean and formal look. 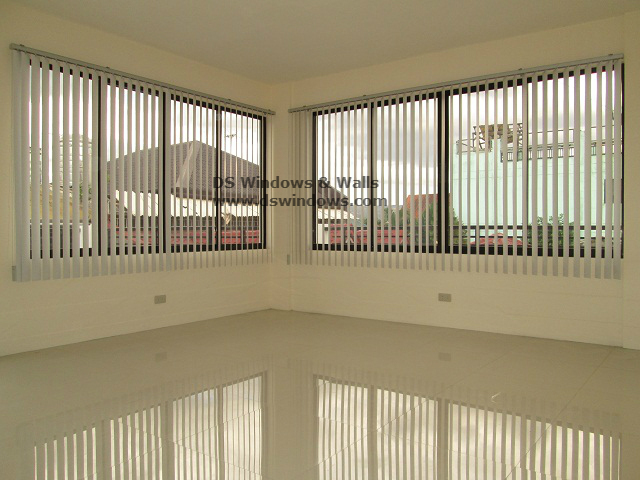 PVC vertical blinds can perfectly fit on wide and long windows, just like our client from Pasig City, Philippines who opted for PVC vertical blinds for their new office area. They opted PVC vertical blinds and selected white color to make their office space more appealing and formal. PVC vertical blinds are durable because it is made up of polyvinyl chloride and can withstand in any high moisture areas. PVC vertical blinds offer wide varieties of colors, textures and patterns that will suit best in any interior. 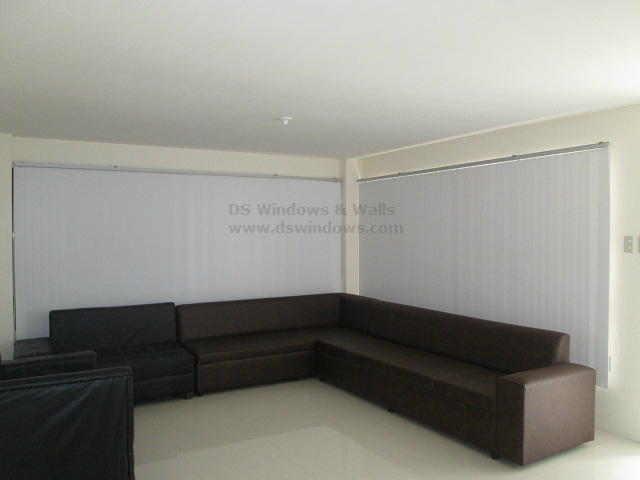 DS Windows & Walls also offers different varieties of window blinds, PVC folding door, wallpaper and carpet. For more samples and swatches, you can visit our shops located at 4th level Waltermart, Makati City, 3rd level Robinson Metro East, Pasig City and 2nd level Pacific Mall, Lucena City. For inquiries, you may email us at inquiry@dswindows.com or call us at (02) 893-1373 / (02) 403-3262 / (02) 668-9668 / 0916-311-3909.